Last Week: Nailed It. Nothing much went on for Friday or Saturday, but Sunday was blowing at the points. 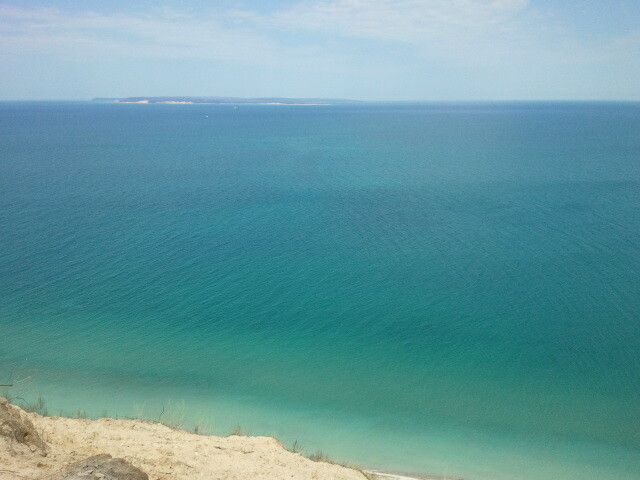 I was at Sleeping Bear Sunday and rode in Frankfort. Pt Betsie was blowing better than Frankfort, but no one else was riding there. It’s not the safest spot to be solo in cold water. Once you pass the lighthouse, the next stop is the Manitou Islands. Today: There is some wind out of the NW this afternoon in Muskegon and Grand Haven, but it doesn’t look like it is going to build anymore along the beach to be rideable. Sunday: Looking a little better for some thermal wind with a southerly flow and sunny skies. As of right now I would say that Pt Betsie looks pretty solid for 15 to 20 knots. Little Sable and Big Sable could be rideable as well. Memorial Day: It’s a ways out to make an accurate forecast, but I’m hoping its going to be a good South wind day north of Muskegon and up the coast all the way to Pt Betsie. I’d say 20 knots at the points right now. This could improve or decline depending on cloud cover. I’ll check in over the weekend and probably make some comments on how Sunday and Monday are shaping up. Have a safe and enjoyable holiday! Monday looking good. Get that buoy cam ready! I would say today (sunday), looking very calm south of manistee. Only chance for riding will be further north like Pt Betsie or even further north. Tomorrow still looking like the better day. All three points should be good, late morning into early afternoon. Still feel pretty good about today. Little sable and point betsie should be rideable. May have to dodge some rain this afternoon, but nothing that will last. Yes. LSP blew great 10m Right after stormFirst time there. Stoked. Will be back. Thanks!